Bachelor of Economics, University of Tasmania. Awarded Honorary Doctorate, Griffith University. Member of the Australian Society of Accountants. 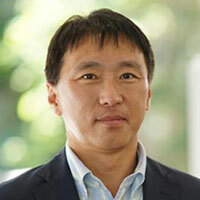 Chairman of Village Roadshow Corporation Pty. Ltd. Deputy Chairman, Village Roiadshow Ltd. Director, Griffith University Advisory for CILECT Congress, Asia Pacific Screen Academy, Queensland College of Arts, and Victoria University Confucius Institute. Previously Chairman, Village Roadshow Limited and Austereo Limited. 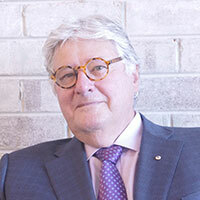 He was Chairman, The Salvation Army Advisory Board, Chairman, Red Shield Appeal, Deputy Chairman of The Conversation Media Group, former Director of IMNIS and former Director of Jigsaw Foundation at the Royal Children’s Hospital, Surf Life Saving Australia Foundation. Former Chairman of Sponsors Appeal Committee of the Victorian College of the Arts, and former Deputy Chairman of the Interim Council of the National Film and Sound Archive. Former member of the Victorian Premier’s Multi Media Task Force, Victorian Advisory Council of the Australian Opera, and Progressive Business Victoria and former advisor, Commando Welfare Trust. Denis is the Chairman & CEO of Sony Music Entertainment Australia & New Zealand and President, Asia. He commenced his career with the company in 1970 and has been leading since 1984. Denis is also the Chair of ARIA and the Chairman of the International Federation of the Phonographic Industry (IFPI) Asia Board. In 1996, he became the first Sony Music Entertainment executive to be honoured with the CEO Special Recognition Award. 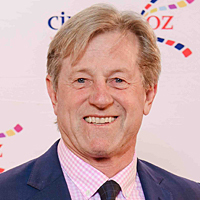 Denis was made a Member of the Order of Australia in 2005 in recognition of his services to charitable causes and the music industry. Further prestigious awards recognising his immense contributions have included the Ted Albert Award from the Australian Performing Rights Association for Outstanding Services to the Music Industry in 2009, the “Label Executive of the Year – Major” award from the Worldwide Radio Summit Industry Awards Los Angeles in 2012 and the ARIA Industry Icon Award in 2014. Denis is one of the founding Directors of Sony Foundation, and is also very proud to be Patron of the Youth off the Streets Scholarship Program since its inaugural year in 2004. He is also an inaugural board member of the Ricky Stuart Foundation supporting children with autism. Denis was a founding member on the Board of Governors for Sony Foundation in 1998. Kaz Matsuura is the Managing Director of Sony Australia and New Zealand, a position he was appointed to in October 2015. Kaz has a wealth of experience gained during an impressive 30 year career with Sony. Since joining Sony Corporation in 1986 Kaz has held a variety of roles. Working mainly in the Sales & Marketing field, Kaz worked in product marketing during his tenures in Taiwan and Hong Kong. 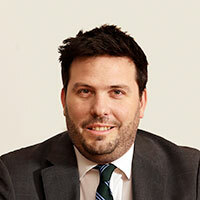 Kaz has also worked in Regional & Corporate Planning roles in Singapore and mainland China. In Tokyo, Kaz gained invaluable experience working in Corporate Planning and Control across various business groups. Prior to his current role Kaz was Head of Planning within the Global Consumer Sales and Marketing Group at Sony Corporation’s Headquarters in Japan. In his early career Kaz had the honour of working closely with Mr Masaru Ibuka, co-founder of Sony, as his Secretarial assistant. 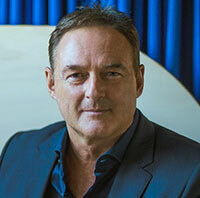 Stephen Basil-Jones is the Managing Director and Executive Vice-President of Sony Pictures Australia and supervisor – Japan, Korea & New Zealand. After completing a Bachelor of Commerce Degree (Marketing) at the University of NSW, he worked in the advertising and marketing field for 10 years in both Sydney and London. He joined the film industry in 1992, starting as the National Marketing Manager for Hoyts Fox Columbia TriStar. He was appointed Managing Director of Sony Pictures Entertainment in 1996 and promoted to Los Angeles in 2001 as Senior Vice-president of International Distribution – supervising Mexico, Italy, Belgium, Holland, Italy, Scandinavia, Australia and N.Z. Stephen became Senior Vice-President of Marketing and oversaw advertising/media for all the international territories in 2003. The following year Stephen moved to London as Head of International Distribution and Marketing for Dreamworks, and, in 2006, returned to Australia to head Sony Pictures Releasing where he currently continues in his role. He has held numerous industry positions over the years including: Chairman of the Motion Pictures Distributor’s Association. (MPDAA) in 2001, 2009 and 2015, Executive Board Director – NSW Film & TV Office (2001), Board Director – Sydney Film Festival (2008/9) Board Director for Australians in Film (Los Angeles 2003/4) and is a member of British Academy of Film & Television (BAFTA-UK). Chris has worked in the sports and talent management and marketing field for over 18 years and has a well-earned reputation and standing within the industry. The former lawyer has pioneered the growth and forward direction of International Quarterback which is Australia’s leading boutique talent and sponsorship management consultancy. Over the years International Quarterback has represented some of the country’s most accomplished elite athletes and personalities – including Michael Clarke, Grant Hackett, Giaan Rooney, John Eales, and Mark Schwarzer. 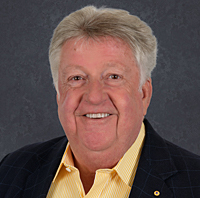 Chris spent four years on the board of Tourism QLD (2005 – 2009) and was Chairman of the Audit Committee of Tourism Queensland for over 2 years. Chris was also Chairman of the Gold Coast Events Company for two years. He currently sits on the board of the Queensland Reds and Sony Foundation. Leanne is a practicing registered nurse with qualifications in Midwifery and Coronary Care. She has worked at numerous hospitals throughout Sydney including The Royal North Shore, The Royal Prince Alfred, Manly, St Vincent’s and St George. She is currently managing Health Centre services at Saint Ignatius College Riverview. Leanne has had extensive involvement with the New South Wales School Nurses Association where she has initiated and worked on a variety of projects including co editing three editions of the National Guidelines for School Nurses, Working in collaboration with the NSW Centre for the Advancement of Adolescent Health and most recently revision of the National School Nursing Professional Practice Standards. Leanne is a member of the Australian College of Nursing, holds the Distinguished Nursing Service award bestowed by the NSW Institute of Nursing Unit Managers and received the highest honour St Ignatius College Riverview can confer on a member of the Riverview community, the Insignis award. Leanne played a significant role in establishing the first Children’s Holiday Camp and has supported and advised in the development of the Sony Foundation Children’s program nationally over the past 16 years. Damian Eales is Managing Director – Metro and Regional Publishing of News Corp Pty Ltd, a role he assumed in July 2015. Damian is responsible for all of the company’s metro and regional publishing divisions which include five metro titles; The Daily and Sunday Telegraph (NSW), the Herald Sun and Sunday Herald Sun (VIC), The Courier-Mail and The Sunday Mail (QLD), The Advertiser and Sunday Mail (SA) and The Sunday Times (WA), six regional titles; Mercury and Sunday Tasmanian (TAS), NT News and Sunday Territorian (NT), Gold Coast Bulletin, Townsville Bulletin, The Cairns Post and Geelong Advertiser and The Weekly Times (VIC). These titles collectively reach more than 12 million Australians every week across print and digital platforms. Damian joined News Corp Australia in February 2013 initially as Strategic Partnerships Director before being promoted to the role of Group Marketing Director in September that same year. 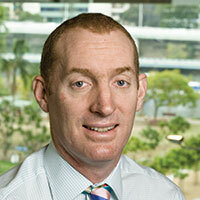 Prior to News Corp Australia, Damian led the marketing division of Westpac Bank between February 2011 and August 2012. Prior to this, Damian spent over a decade working in a number of senior roles at David Jones; including General Manager, Supply Chain, Logistics & Online Retail, moving to Group General Manager Marketing & Operations before taking on the role of Group General Manager, Financial Services & Marketing. Damian sits on the board of media industry bodies NewsMediaworks, The Readership Works and the International News Media Association (INMA). Damian was educated in Queensland and received a Bachelor’s Degree in Speech-Language Pathology and Master of Business Administration (MBA) from the University of Queensland. 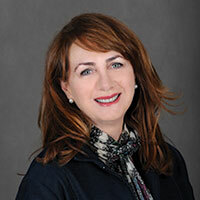 Cathy O’Connor is the Chief Executive Officer of NOVA Entertainment (formerly dmg Radio Australia). NOVA Entertainment owns and operates the national Nova radio network, the leading radio brand in Australia. NOVA Entertainment owns the smoothfm stations in Sydney and Melbourne, leading talk station FIVEaa in Adelaide, Star 104.5 on the Central Coast of NSW, and the three digital radio stations smoothfm, Coles Radio and Koffee. Cathy entered the radio industry in 1985 and worked in sales roles at both 2SM and 2GB in Sydney. Her management career began at Austereo in 1991 where she held the roles of Agency Sales Manager, General Sales Manager and General Manager. Cathy joined dmg Radio Australia (now NOVA Entertainment) as Managing Director in January 2003 and was appointed to the position of CEO on 1 October 2008. Since joining NOVA Entertainment, Cathy has been involved in the completion and evolution of the national Nova network, including the launches of Nova Adelaide and Brisbane, as well as the smoothfm stations. Cathy works with the NOVA Entertainment senior management team across Australia with the goal of delivering new levels of innovation and creativity in commercial radio to both listeners and advertisers. Career achievements include the Telstra NSW Business Women’s Award for the Private Sector – over 100 Employees Category (1996), and Cathy was also awarded a Centenary Medal for Service to Australian Society in Business Leadership in 2003, recognising her significant career achievements. Cathy has served on the Board of Commercial Radio Australia since 2006, and held the role of Chair from 2009 to 2012. Cathy is also a Governor of the Board of the Cerebral Palsy Foundation. As the CEO of production and content powerhouse, Endemol Shine Australia (ESA), Mark Fennessy today oversees an extraordinary slate of television franchises and super brands. Ranked first in the Australian Financial review’s cultural list, he sits at the top of the mountain when it comes to creators and suppliers of high quality content. ESA is the fourth independent production group which Mark has built and steered to enormous success. From boutique indie Crackerjack to the formation of Fremantle Media Australia to launching Shine Australia and then overseeing the local merger of Endemol and Shine – it’s an extraordinary story of accomplishment. In recent years, Mark has overseen the successful placement and roll out of productions such as MasterChef Australia, Australian Ninja Warrior, Shark Tank, Australian Survivor, Married At First Sight, Gogglebox, and original ESA formats The Great Australian Spelling Bee and Family Food Fight which was recently commissioned by the ABC Network in the US. ESA drama slate has continued to strengthen under Mark’s watch including; INXS: Never Tear Us Apart which broke ratings records, Catching Milat, Peter Allen: Not The Boy Next Door which won an impressive seven AACTA Awards, Wake In Fright, Blue Murder: Killer Cop, as well as the much-loved Offspring. Earlier in his career, Mark spent more than 10 years as Executive Producer both at Nine and MTV Networks, rising to the Head of MTV Australia at the age of 26. During this same period, Mark was Executive Producer of five Olympic Games broadcasts. In 2017 Mark was awarded an Order Of Australia recognising him for his significant service to the broadcast media industry as an entrepreneur, innovator and production executive.